Getting involved with Boys & Girls Clubs of Indianapolis is easier than you might think. Here are a just a few ways to join us in changing Club kids’ lives. Whether you’re an individual, have a group of friends who want to help or you want to rally your coworkers or church group, there’s always work to be done. Below are just a few stories from those who know the joy and satisfaction that comes from helping local Club kids. Each year, Ingram Micro Mobility, a company that works with highly recognized technology businesses, dedicates a week of service to a non-profit organization. 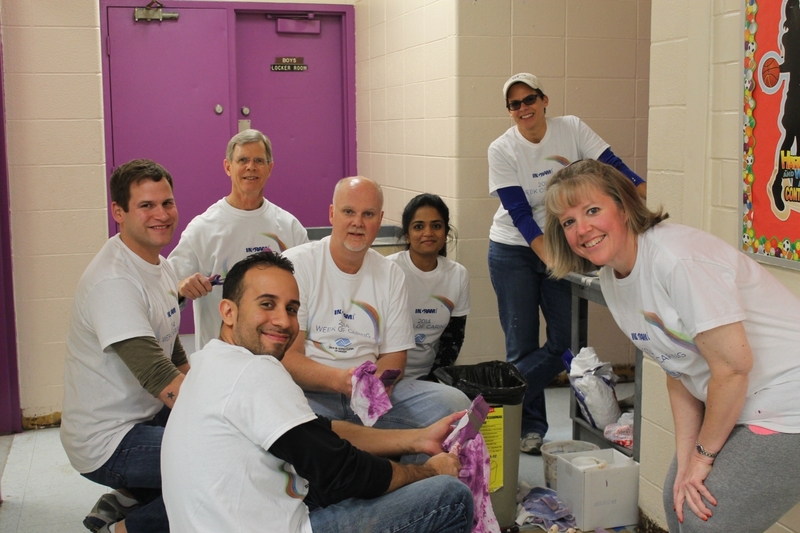 During their 2014 Week of Caring, employees offered their time and energy by giving our Wheeler-Dowe Club a makeover. In 2014, our LeGore Boys & Girls Club formed a partnership with the Collegiate Alliance of Musicians to start a music program. The program teaches youth the fundamentals of music and gives kids access to resources in order to help them practice to become better musicians. 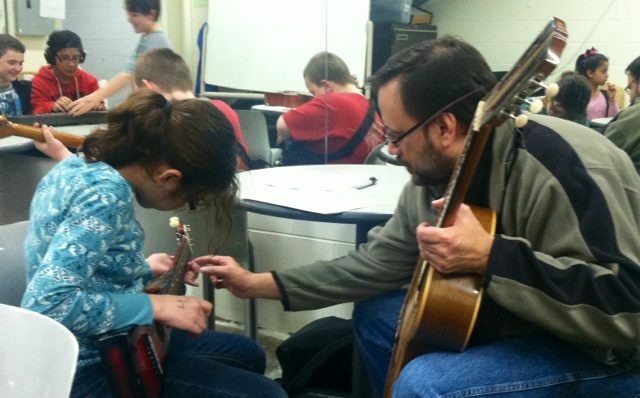 Volunteers working with our youth are college student musicians that use their talents to offer community service. Whether you’re a college student, a business professional or someone who just wants to help kids in Indy, there is an opportunity for you to help. Spend time mentoring a teen, tutoring a middle school student or shooting hoops with an elementary school kid. Whether you help out for an hour a week or a few hours a day, volunteers play a vital role in encouraging Club kids to be their best. Make a lasting impact on young lives.